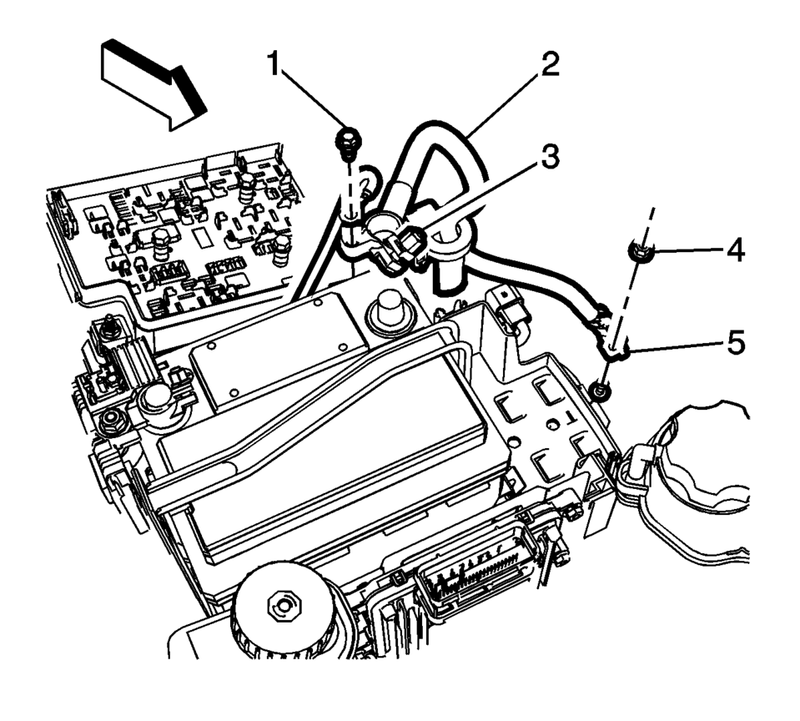 Disconnect the battery current sensor from the body harness connector. Unclip the battery current sensor from the battery tray. Remove the battery negative cable frame ground nut (4) and terminal (5). Observe the position of the battery current sensor when removing. Slide the battery current sensor (2) off the battery negative cable (1). 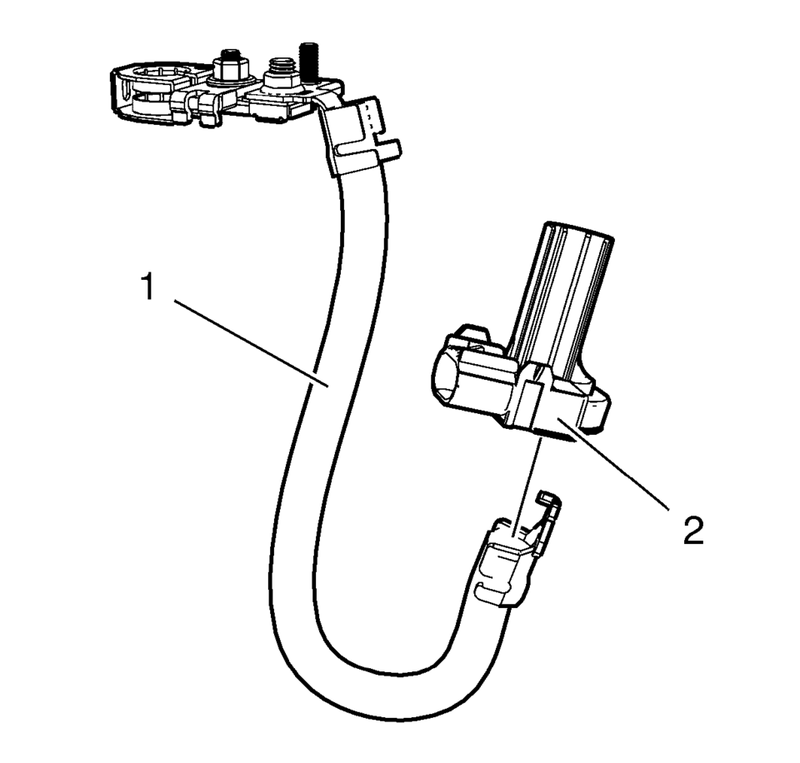 Install the battery current sensor (2) onto the battery negative cable (1). Clip the battery current sensor onto the battery tray. Connect the battery current sensor to the body harness connector.